Tor Messenger is an anonymous messaging app that is based on the free and open source Instantbird messenger. Tor Messenger is designed with simplicity and anonymity in mind. It uses the off-the-record cryptographic protocol to encrypt users’ conversations. All traffic is routed over the Tor network so the user’s identity is protected from snoopers and eavesdropppers. Important improvements to the stability and security of Instantbird. Tor messenger will be built on top of Tor Browser instead of Mozilla ESR from the release on. Existing Tor Messenger installation can be updated via Help > About menu. Go to Tor Messenger download page to download the program. Alternatively, you can run the following command in terminal to download it. Once downloaded, extract the tarball using the following command. A new folder named tor-messenger will be created in the current working directory. To keep the file system organized, we can move this folder and all its content to /opt/ directory. Then use the following command to start Tor Messenger. You will need to configure your connection when running Tor Messenger for the first time. 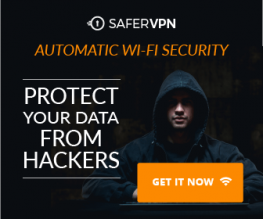 If you are able to connect directly to the Tor network, click Connect button. After the connection is established, you can start chatting anonymously. If Tor is blocked in your country or area, click Configure button to use a bridge or proxy to connect to Tor network. In the next window, select Yes. Next, select the default obfs4 bridge. After that, you will be asked if you need to use a local proxy to access the Internet. 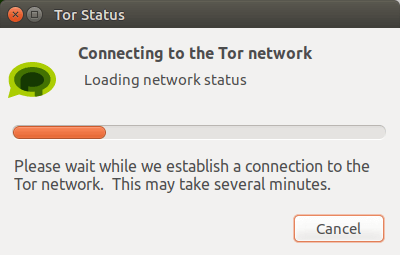 Normally you will be able to connect to the Tor network via Tor bridge so just select No. The Tor Messenger is now trying to establish a connection to the Tor network. It shouldn’t take long. Once the Tor connection is established, the Tor Messenger account wizard appears. You can join IRC channels, chat using the open Jabber/XMPP protocol, log into your Twitter account, talk to your Gmail contacts. 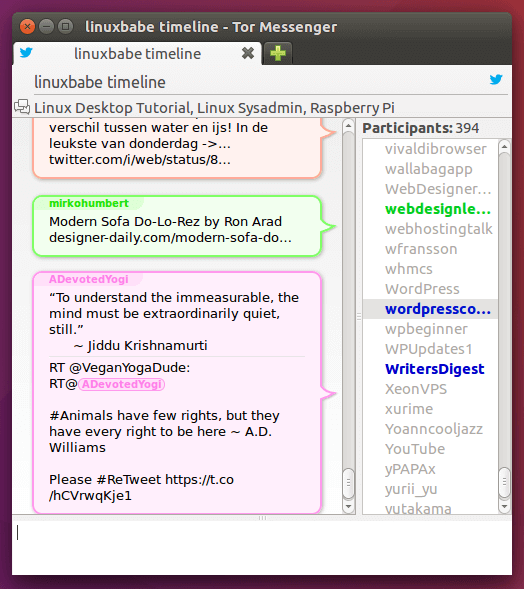 The screenshot below shows Twitter timeline. You can start a private conversation with your Twitter contacts. Then run the following command to create a .desktop file in /usr/share/applications/ directory. 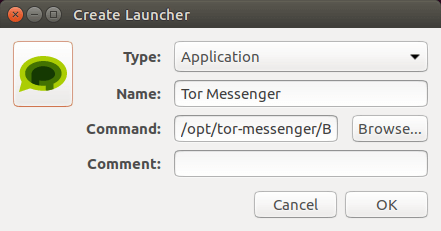 Give the launcher a name and specify the command to execute (/opt/tor-messenger/Browser/start-tor-messenger). Clicking the spring icon allows you to choose an icon for the launcher (/opt/tor-messenger/Browser/chrome/icons/default/default48.png). Click OK button and you will see a launcher in application menu. 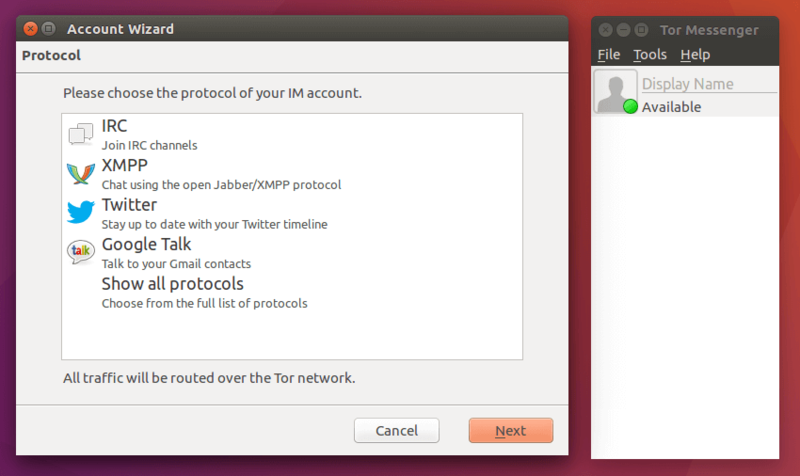 I hope this tutorial helped you install the Tor Messenger anonymous messaging app on Linux . As always, if you found this post useful, then subscribe to our free newsletter. You can also follow us on Google+, Twitter or like our Facebook page.